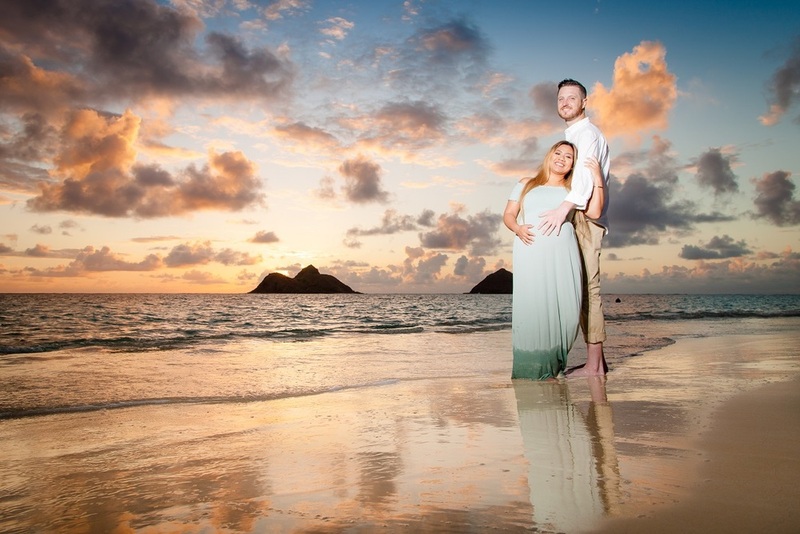 Listed below is our most commonly used locations for beach, park, sunset & sunrise photo sessions for families, couples and destination beach weddings. Starred locations are excellent alternative spots. These are just the most common locations. Before trying to decide on a location...we suggest you consider the "look" you want from your session. Morning and mid-day sessions are bright and cheerful, while sunset and sunrise sessions tend to be more moody and dramatic. Neither is better than the other, just different. Sunset sessions are soft, moody and dramatic. Your choice of location will be determined by factors such as your ability to travel, what "look" you chose, etc. Listed below are some of the best locations along with the pros and cons of each. The first three listed are the closest to Waikiki. Family friendly, nearly deserted beaches. Excellent for those classic Hawaii palm tree beach shots. Romantic for couples and fun for families. Connects to Kahala Hotel Resort beaches. One of my favorite locations. Parking can occasionally be limited so arrive early. *Excellent for morning and sunset sessions - but there are no direct sunset views*. For the adventurous and those seeking something a little different, there are dozens of great out of the way locations, from deserted white sand beaches with islands just off shore, to WWII hill top bunkers with coastline views, to rocky shores with crashing waves. Some require more driving time, effort and a little bit of hiking. And I seldom charge more (unless it's a long drive) - since this is fun for me too! If you like the idea of a little adventure and exploring mixed in with epic portraits, check out these off-the-beaten-path-locations ideas.